Alethea Sims, organizer and activist, writes on a blank check she says symbolizes the lack of money going toward affordable housing units in the city of Pittsburgh at a rally in East Liberty on Thursday, Nov. 16, 2017. Affordable housing advocates say they’re concerned the consent agreement reached by the city of Pittsburgh and four neighborhood groups about the former Penn Plaza development site won’t actually help those who need it. The deal struck last week relies on tax revenue generated from a Transit Revitalization Investment District, or TRID plan, and ensures at least $4 million in funding for affordable housing. It also includes roughly $5 million in tax revenue for the developer, LG Realty Advisors, to spend on improvements at the site. Another $1 million would go toward the improvement of Enright Park. An activist holds a sign at a rally protesting the consent decree by the city of Pittsburgh, LG Realty Advisors and community groups about the future of the former Penn Plaza apartment site in East Liberty, Thursday, Nov. 16, 2017. The plan also promises housing affordable to residents who make 60-80 percent of the area median income will be built less than 1 mile from the now-demolished Penn Plaza site. But organizer and activist Alethea Sims said that won’t include most of the evicted residents. According to the federal Housing and Urban Development statistics, 80 percent of area median income for a family of four in Allegheny County is $58,100. O’Harold Hoots, who once lived at Penn Plaza with his wife and son, said since the evictions, his family has had trouble finding an affordable and safe place to live. Right now they live on Robinson Street in Oakland, where the rent is $750 a month. But loud neighbors and poor conditions have prompted them to find a new place to live. Alethea Sims, an organizers for affordable housing in the city, says the area median income level agreed upon for low-income resident housing is not fair. Hoots said he and his wife can barely afford their current rent. He’s on disability and makes about $1,100 each month, while his wife, who works part-time at Giant Eagle, makes about $600 a month. Their son is disabled and unable to work. According to the HUD data, Hoots’ family makes less than 30 percent of the area median income, but he said he’s unable to secure a place in the area where he’s lived for the past 50 years. Former Penn Plaza resident Randall Taylor said he also isn’t convinced that the consent agreement isn’t a façade for developer incentives. “Whether they talk about parks or affordable housing agreement, everything was intended to cover free tax breaks, free tax money to LG Realty,” Taylor said. The former Penn Plaza apartment site in East Liberty on Thursday, Nov. 16, 2017. The city responded to the rally with an emailed statement, noting it had reached out to local groups and residents. “The facts are the consent agreement was indeed negotiated with resident input: the Bloomfield-Garfield Corporation, Friendship Community Group, East Liberty Development Incorporated (ILDI) and the Enright Park Neighborhood Association were all part of the negotiations,” the statement read. Over the next three to five years, more than 200 affordably priced apartments and homes could be built in East Liberty and Garfield as a result of the negotiations surrounding the demolition of Penn Plaza, according to Rick Swartz, executive director of the Bloomfield Garfield Corporation. 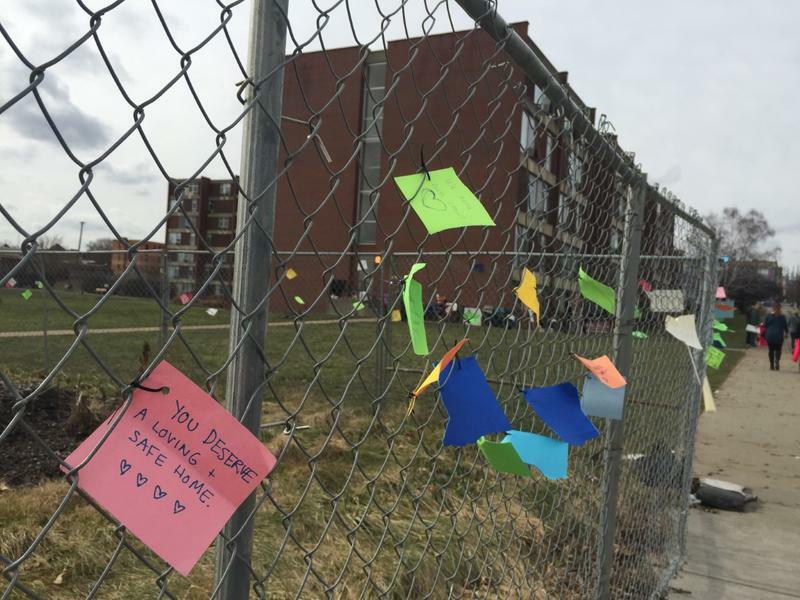 After more than 1,000 hours of mediated sessions and discussions, the city of Pittsburgh and community groups have reached an agreement with the developers of the former Penn Plaza site, to ensure affordable housing and green spaces remain in East Liberty. Affordable housing activists are calling out Pittsburgh Mayor Bill Peduto, saying he hasn't done enough to help low-income residents evicted from East Liberty's Penn Plaza Apartments. Pittsburgh City Council is still searching for a way to pay for a fund it established last December to expand the supply of affordable housing for low and moderate-income residents.